One of my favorite things to do after a long day at work, a busy day of traveling or getting out the freezing cold ( yes it's still chilly here in Atlanta! ) is grabbing a few of my favorite items to have a cozy night in. In fact, the older I get, the more I laugh about how I'd rather be in watching a movie then going to the bar. Mom life friends! 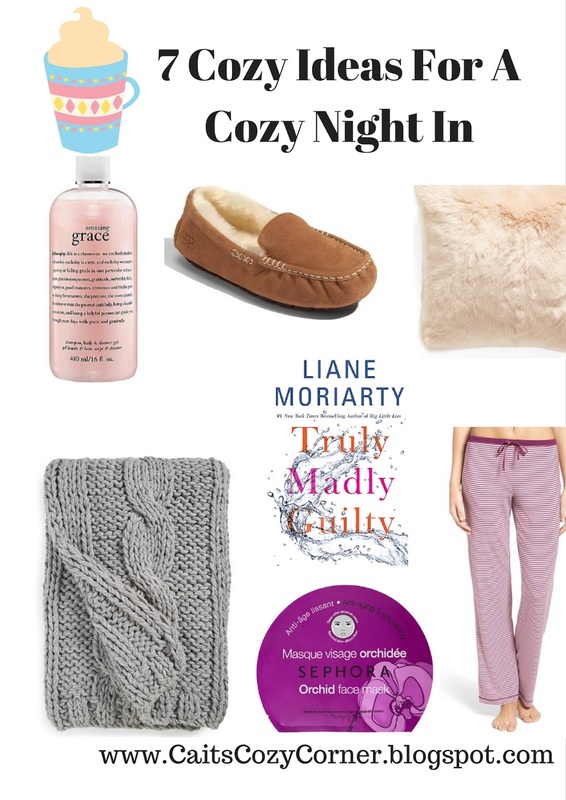 Here are some of my favorite items that I always have to have when preparing for a cozy night in. 1. Bubble Bath - I never used to be a fan a bubble baths but somehow being 5 months pregnant it's all I want to take to relax and unwind after a long day. I just purchased this and can't wait to try it! 3. Pillows- My husband would tell you I have too many pillows but I love to surround myself with them when I get comfortable on the couch. The more the better like this one! 4. Cozy Blankets - Similar to pillows, I always have to have a huge blanket around me. The softer and cozier, the better and I'll just stay there all night. This one is a personal favorite and one I use year after year. 5. A Good Book - If Zach has a few TV shows he wants to catch up on, I'm perfectly fine diving into a good book while he enjoys his shows. I'm currently reading Truly, Madly, Guilty and you guys it's SO good! 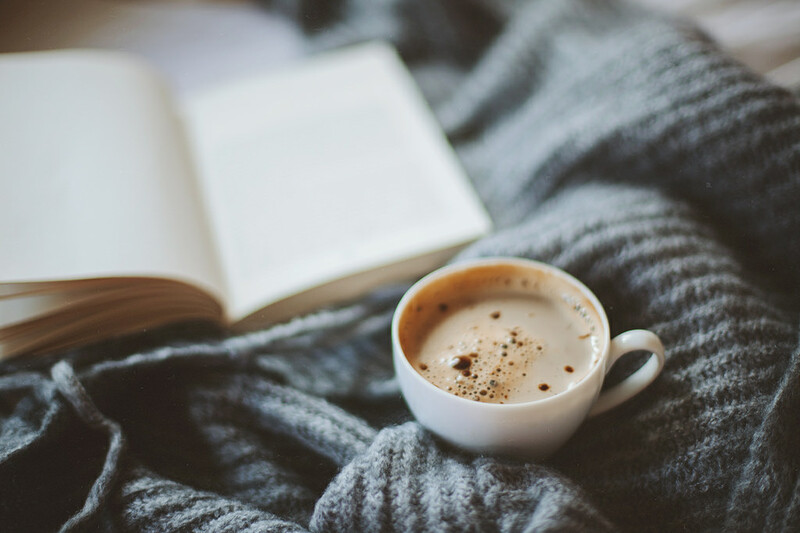 Here are some of my favorite fall books! 6. Face Mask- My face is super dry in the winter so to keep it hydrated, I love using face masks like this one I just purchased. The scent is amazing and it comes in a variety of flavors for only $6 each! 7. Comfortable Clothes- These pajama pants a go to right now( you save 10% using my code! ) . They are super soft, cozy and a big baggy but I love the feel of them. I also love these too! How do you stay cozy? Love this! Candles are my new favorite way to cozy up with a good book. Bubble baths are my all-time favorite way to relax, with a good book of course!